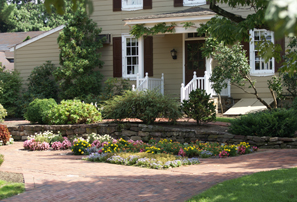 Improve the curb appeal and value of your property with the landscaping service from our company in Queens, New York. At Greenland Landscaping, we service both commercial and residential accounts in the Queens and Long Island Areas. Our landscapers will work with your ideas while suggesting the best types of flowers, grass, foliage, brush, and trees. Our equipment is regularly maintained to ensure efficiency and safety, and our landscapers have undergone training and background checks. Greenland Landscaping Company maintains a level of service and quality that is second to none. We pride ourselves on our history of customer satisfaction, and hope to keep our client base growing with many more success stories and satisfied customers. Contact Greenland Landscaping in Queens, New York, to learn more about our landscaping service.